Christian Horner says Red Bull had not expected Daniel Ricciardo to be as competitive as he has been this year. 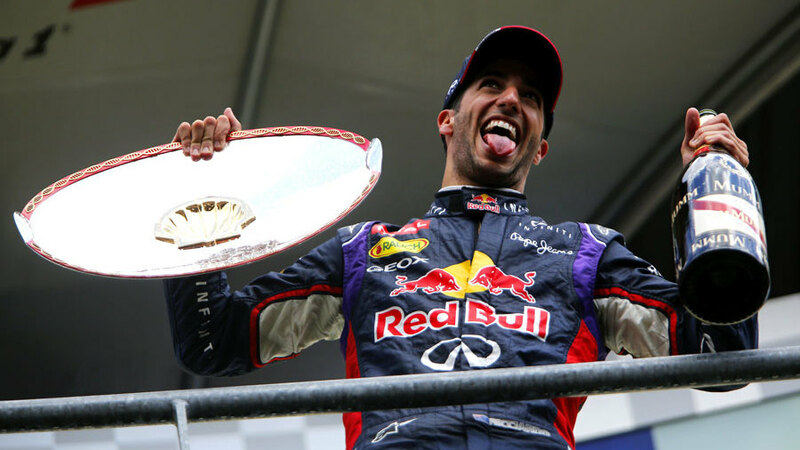 Ricciardo won his third race of the season in Belgium last weekend and has outperformed his world champion team-mate Sebastian Vettel all year. He joined from Toro Rosso over the winter and Horner said Red Bull had not expected him to be doing as well as he has. "In all honesty, we never thought he would be as strong as he has been," Horner said. "We knew he was fast, we knew he was a very good racing driver, but I don't think any of us - not even Daniel - knew how good he was going to be. His confidence is sky high, he's come in with now pressure and he's driving beautifully right now. He's very economical with the car and tyres and the pace is very good." Horner was also keen to point out that Red Bull had won on tracks that should have suited the more powerful Mercedes cars. "We've won in Montreal and Spa, which are the two most unlikely tracks we would have picked pre-season. All we can do is focus on ourselves and go race by race. It's remarkable that Daniel's won only one less race than Rosberg this season."